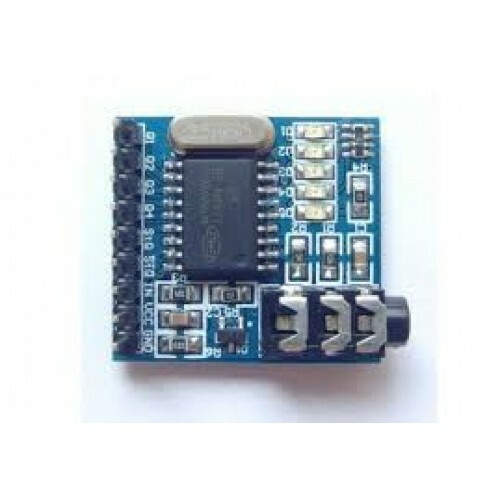 The MT8870 module is a low power device DTMF decoder chip. 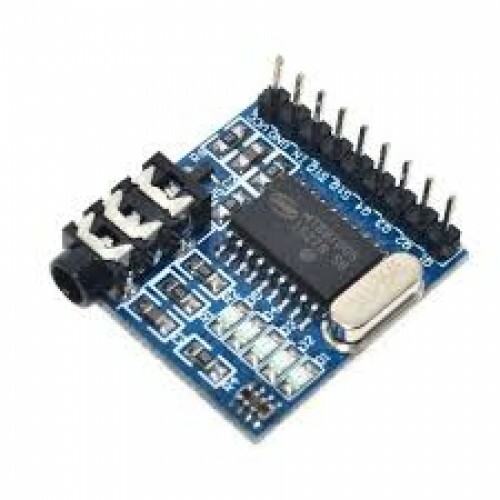 It is a complete DTMF receiver integrating both the band-split filter and digital decoding functions.The MT8870 module decodes DTMF signals from an audio source and it is suitable for modem interfaces, mobile radios and other DTMF related applications, remote monitoring applications, telephone answering machines and more. The MT8870 Tone Decoder is a kind of common used multi-frequency decode IC product developed by the MITEL company. It is a compete DTMF receiver. After it received the DTMF signal, it will divide the signal into high frequency group and low frequency group and send the signal to the digital decoder which can figure out the key value then send it to the outside Bus via four lines( Q1, Q2, Q3, Q4) as the binary form. On-board LED, it is very convenient to check the output state.